When you join NTU, we're here to help you do well in your studies and get the best from your life as a student. We'll work with you to achieve your best and prepare you for future employment. We'll make sure you're getting the right help, from the right people, at the right time. workshops that cover key academic skills such as writing, maths etc., and other areas such as revision, time management, dissertation support etc. the NTU Student Dashboard — giving you at-a-glance access to practical information like your deadlines and submissions. As well as providing all the books and study resources that you'll need, our libraries are peaceful places to study — on your own, or together with your friends and course mates. Our expert teams will help you with whatever support you need — whether that's locating books, providing assistive equipment for disabilities, hosting workshops, or offering one-to-one sessions and mentoring. Throughout term-time, our libraries are open 24/7. 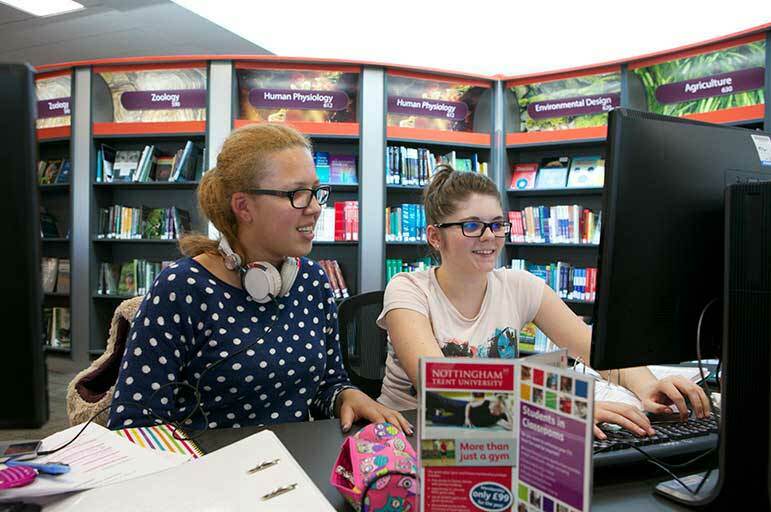 We've recently upgraded our service, meaning you'll have access to more PCs, study spaces and specialist support than ever before. Visit our Library section for more details on the facilities and support we offer.